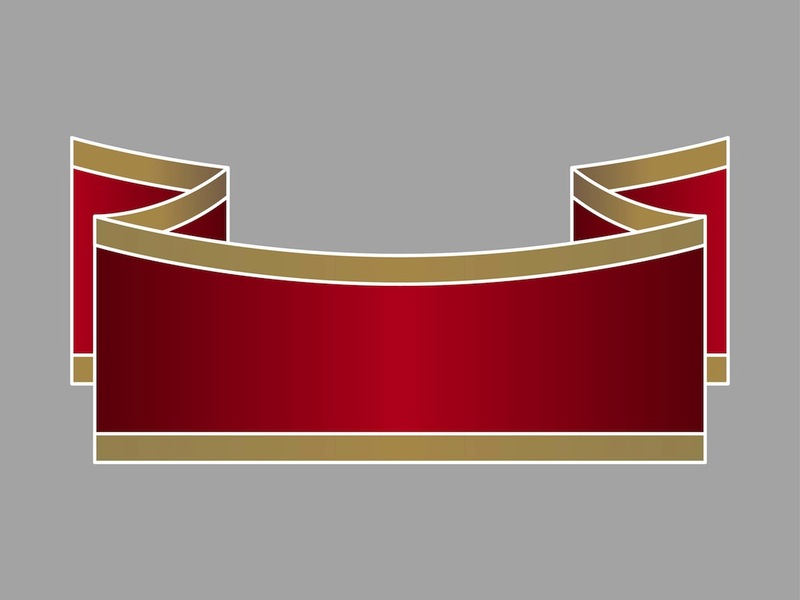 Banner vector template. Vintage ribbon vector design to use as decoration for product labels and banners. Folded ribbon in gradient colors and golden rims. Free vector illustration for all your posters, greeting cards, flyers, product labels, banners, stickers, company logos and buttons. Download retro vector ribbon in classic colors for free for your freebies stock images collection. Tags: Banner, Decoration, Decorative, Gold, Ribbon Vector, Strip, Vintage.